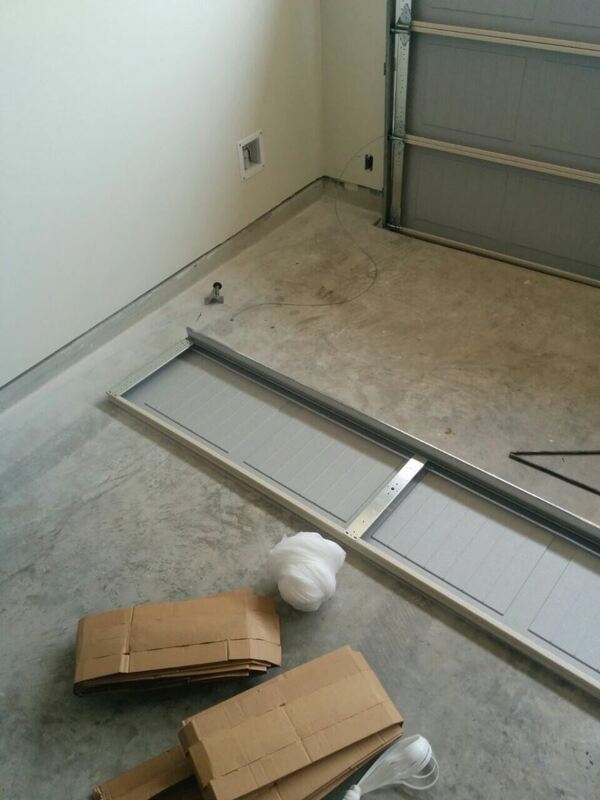 When your garage door cannot fully close, it's possible that the problem is a bent track. Our job is to fix it and restore the door’s normal operation. With proper straightening of the track, it will be able to guide the rollers accurately without any kind of obstruction. If the component is so badly bent that it is about to break, we will replace it with a new one which has matching specs. It makes sense to take measures for protecting the tracks from bending. Check them for pebbles and other kinds of obstructions regularly and clean them properly. You can also leave the maintenance to us, if you are too busy. If your overhead door is uneven and hangs on one side, you most probably have a broken cable. A quick check will confirm this. We'll replace the broken component with a matching one quickly. We will also check the other cable to determine if it requires replacement too. Usually, this is not the case since the two components tend to have a different rate of wearing. Our work is always concluded with a test to confirm that the new cable and the entire extension or torsion spring system work reliably and safely. During door opening, the spring releases the tension which it holds and transfers it to the cables to facilitate the lifting of the unit. What is wrong with your opener exactly? This is the first question that we will answer in order to fix the device properly. If you have a smoothly running motor and the spring system is intact, but the door doesn’t open, you most probably have a broken trolley and we will go ahead and replace it. In case the motor makes a grinding noise, the cause is most likely a broken main gear. Again, you can rely on quick replacement on our part. When the motor is silent, it is a sign of a more serious issue. You can expect proper repair for restoring the opener’s performance. Our garage door repair services cover openers of each type and brand, so contact us as soon as possible!